The General Contractor Safety Form is a document to ensure that the project work done by the contractors is performed in a safe manner. It is used by firms where contractors are performing building, facility or equipment related construction, repair, installation, renovation or maintenance work is carried by contractors. The General Contractor Safety Form helps in managing information about the safety conditions at the contractor work locations. 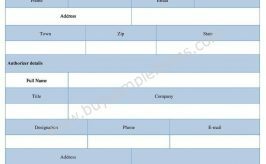 The contractor has to submit this form and necessary steps have to be taken to validate the information provided by the contractor in this form. Below is a sample of General Contractor Safety Form containing the details that can be included in this form. You can download online editable sample of General Contractor Safety template in either Microsoft Word or Microsoft Excel and PDF format.